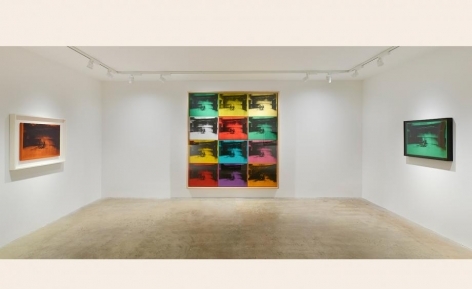 Venus Over Manhattan has opened an Andy Warhol show, just in time for Frieze. The exhibition of 18 paintings comes from a series from the 1960s entitled ‘Death and Disaster’. Warhol had a well-known obsession with the media. He collected all kinds of newspapers, magazines and supermarket tabloids. As an artist, the power of ‘mass-circulated media images’ was priceless and therefore he carefully appropriated this into much of his work over the span of his career. This particular series, produced between 1964 and 1965, was Warhol’s way of exploring ‘growing mass media’s exploitation of tragic imagery in post-war America’. And this, of course, is most relevant today in the way news and current events are covered. The images – some extreme and frightening – are still today infiltrating mass media, taking the form of riots, terrorist attacks, suicides, criminals, car, train and plane accidents and more. 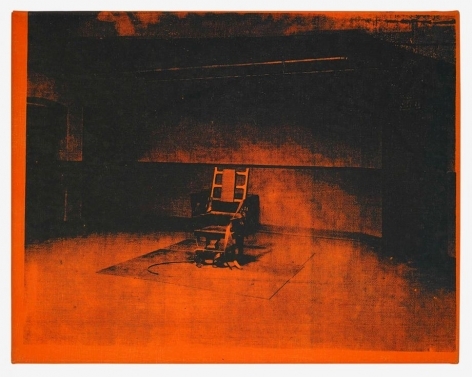 With his ’Little Electric Chairs’ Warhol references a news wire service from 13 January 1953 announcing the historic death sentences of Julius and Ethel Rosenberg at Sing Sing Correctional Facility in upstate New York. 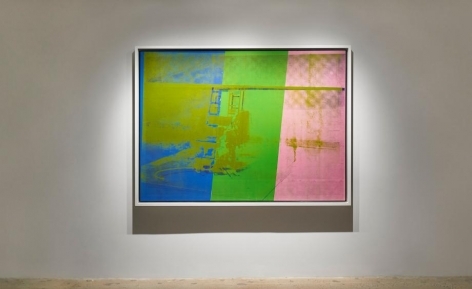 In his essay on the series, American poet Gerard Malanga credited Warhol with saying that ‘[a]dding pretty colors to a picture as gruesome as this would change people’s perceptions of acceptance’. And so, some regard this series as among Warhol’s most important contributions to pop art. 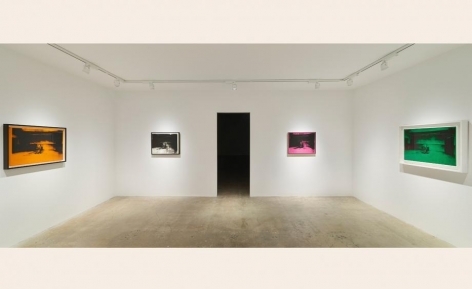 As the gallery says, ‘it reveals the banality that can attenuate even a topic as tragic as capital punishment’.